Welcome to The World United Goa’s 3rd session of ‘Save our Environment in Goa’. The 1st two sessions saw the coming together of people and NGOs who are interested in saving Goa’s environment from different angles, that are tied into their ongoing work or projects. The Climate Change persective is viewed in all of this so that people become more aware of how to campaign for Climate Change as well as allign their projects to its perspective. 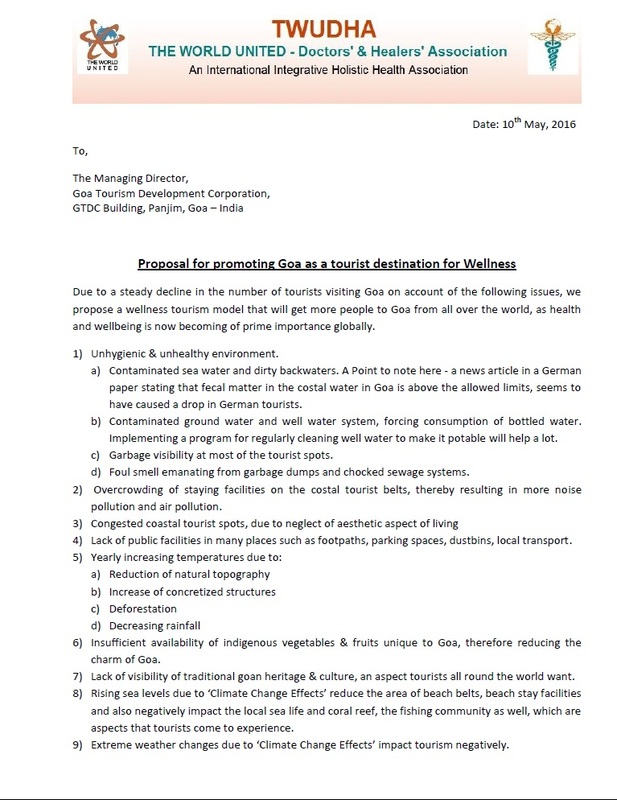 Out of the above 5 projects, we have decided to take up the 2nd one in full detail in this Saturday’s meet as there is a proposal file going to Goa Tourism Development Corporation on Monday, 9th May for consideration and we are getting a chance to put forward our proposal in it. 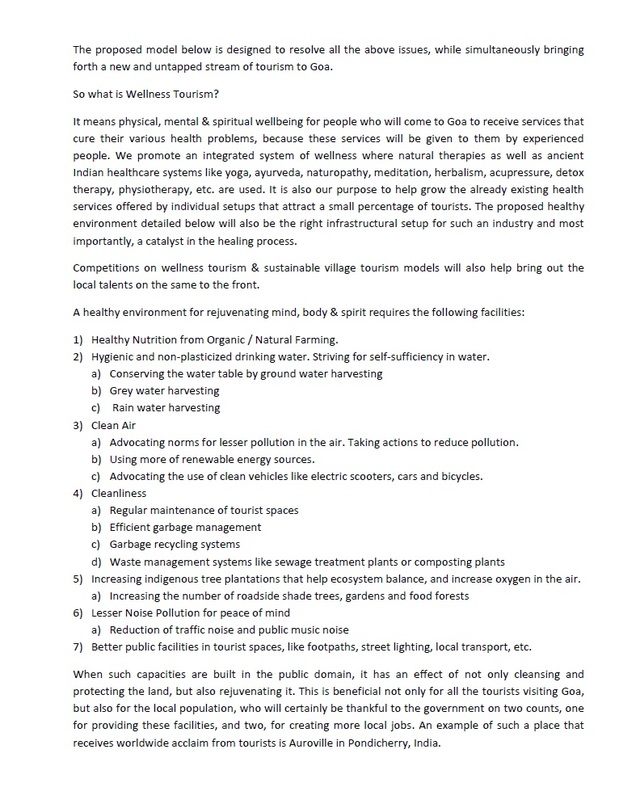 So people who are interested in this topic of making Goa a place for wellness, and promoting sustainable village tourism, are most welcome to this meet to give their inputs. These projects not only give the local people livelihood, but also regenerate the land and entire ecosystem, and give the place a good name. So if you would like to be part of this effort, please show up for this meet. Thanks! Details of the 1st meet have been put up so that one can go through them. 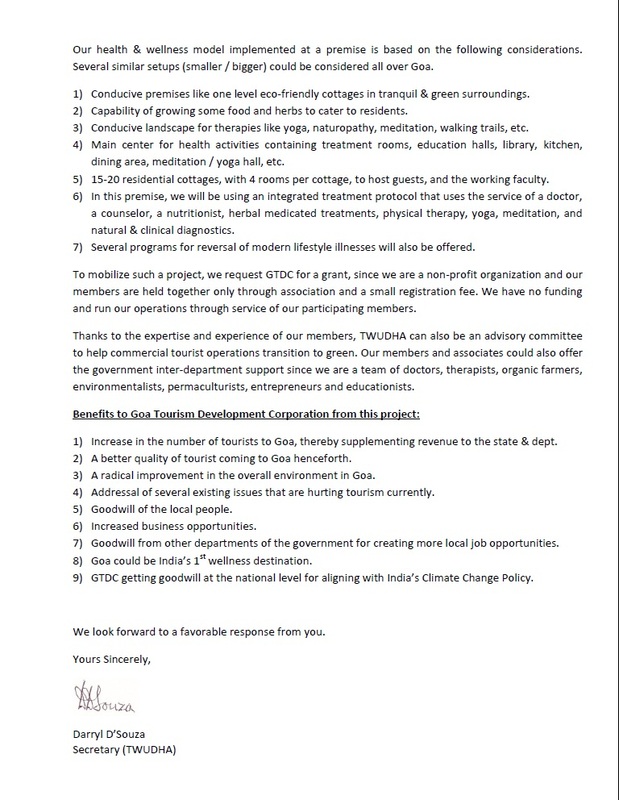 The proposal that was finalized on 9th May’16, from all the participants inputs in this meeting and previous meetings is detailed in the document below that will be forwarded by Rudolph Kammarmei to GTDC on 10th May’16. We will then wait for the response from GTDC. 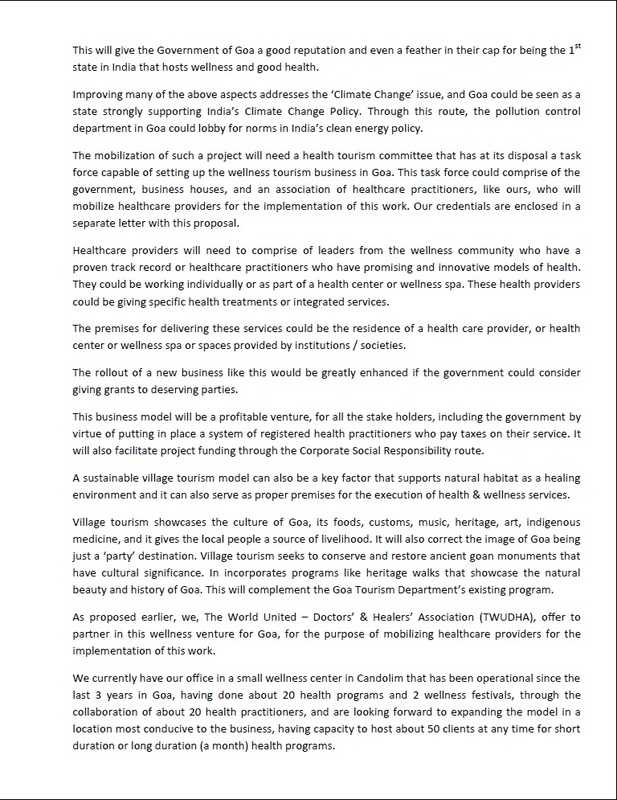 All points expressed in the meets could not be included in this document as some points were on the action plan and at this stage the proposal is only a concept note and a request for grant for the project.